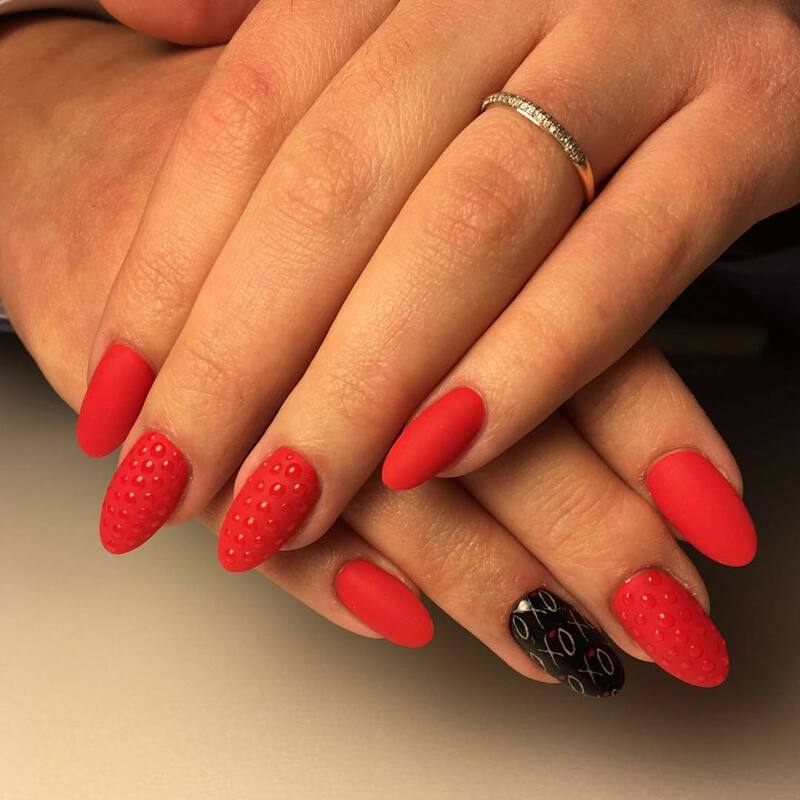 Red is associated with passion, desire, love and more of feminine attributes while black, the mysterious colour, stands for strength, power, seriousness and authority. 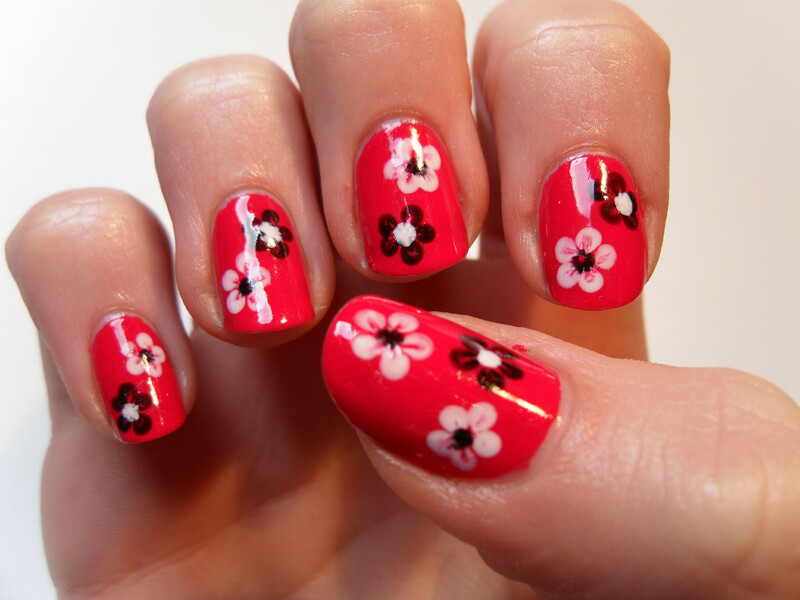 A blend of these two polishes can generate a plethora of themed nail arts to choose from for a splendid look. 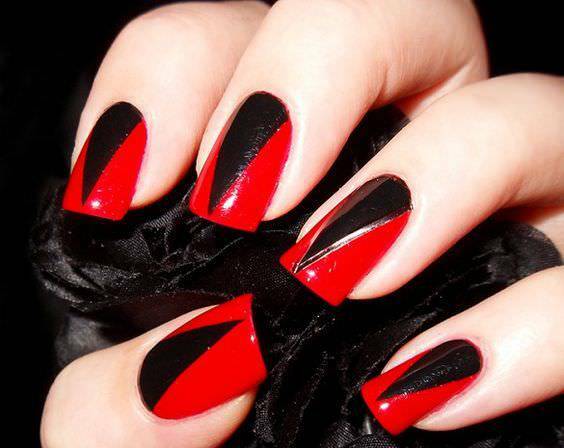 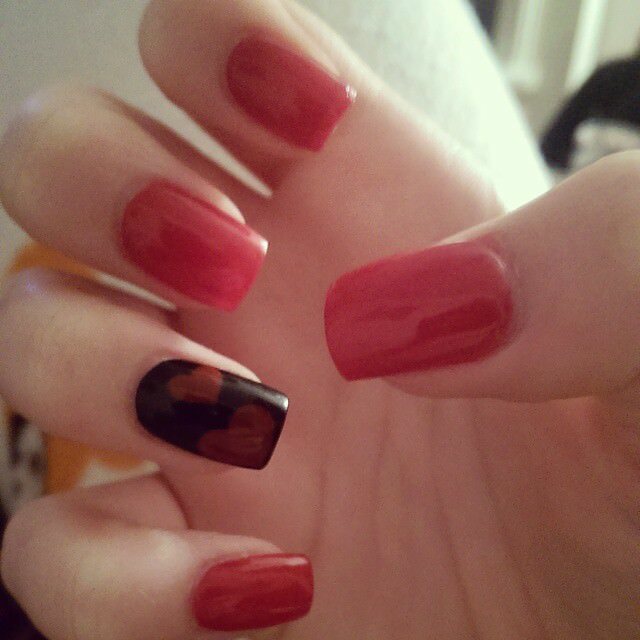 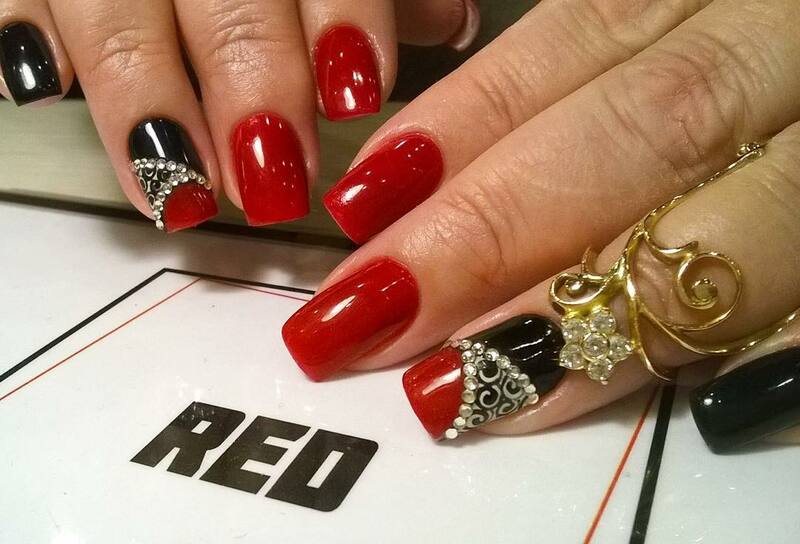 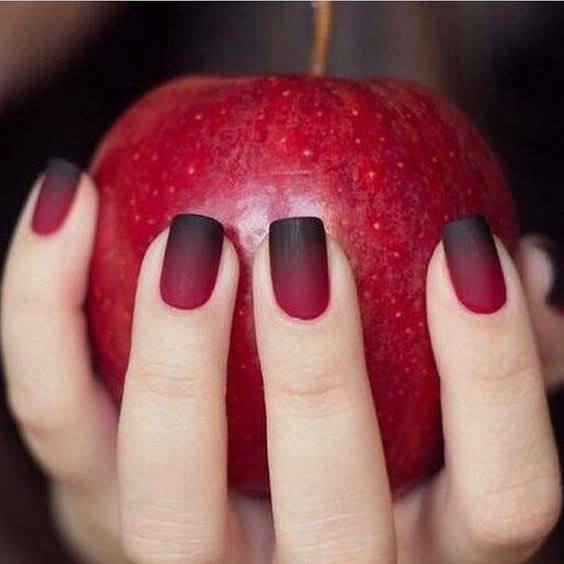 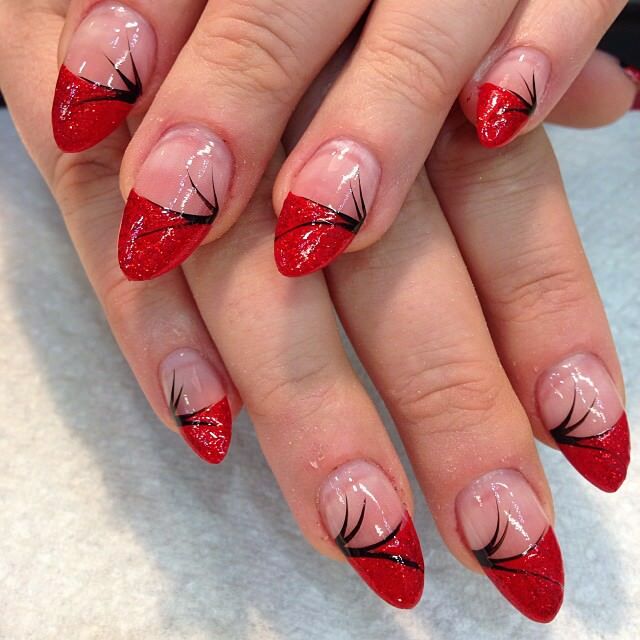 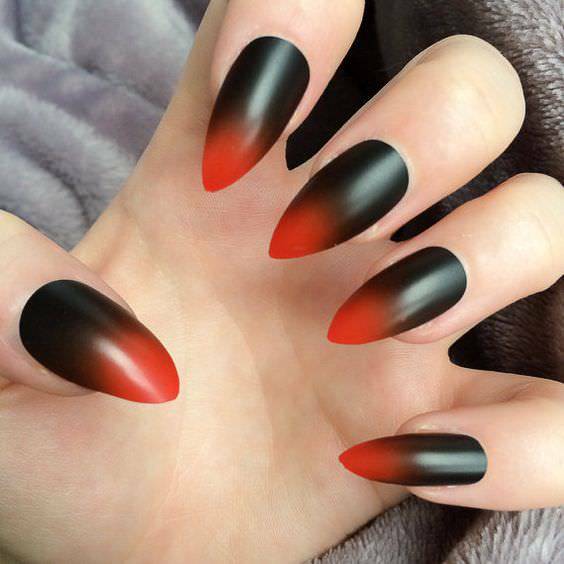 If simplicity and elegance is all that you’re after, then red nails with black tips could be what you need. 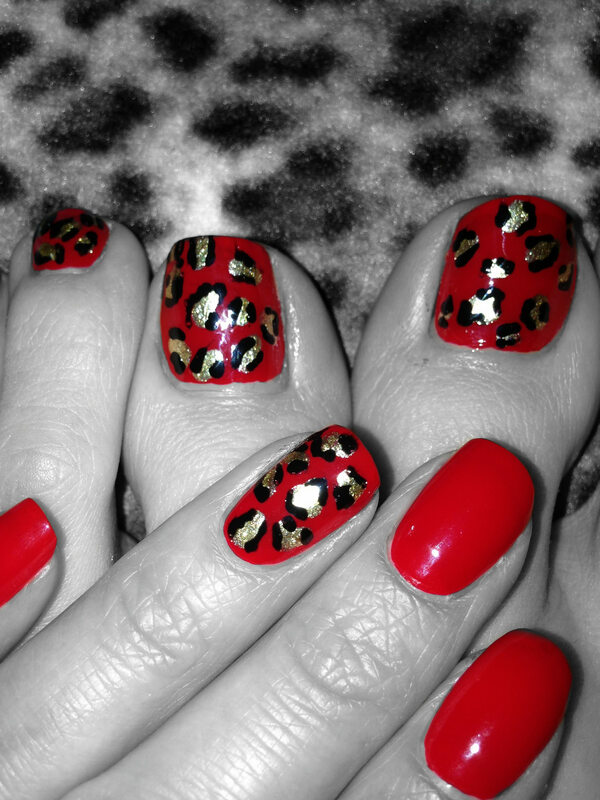 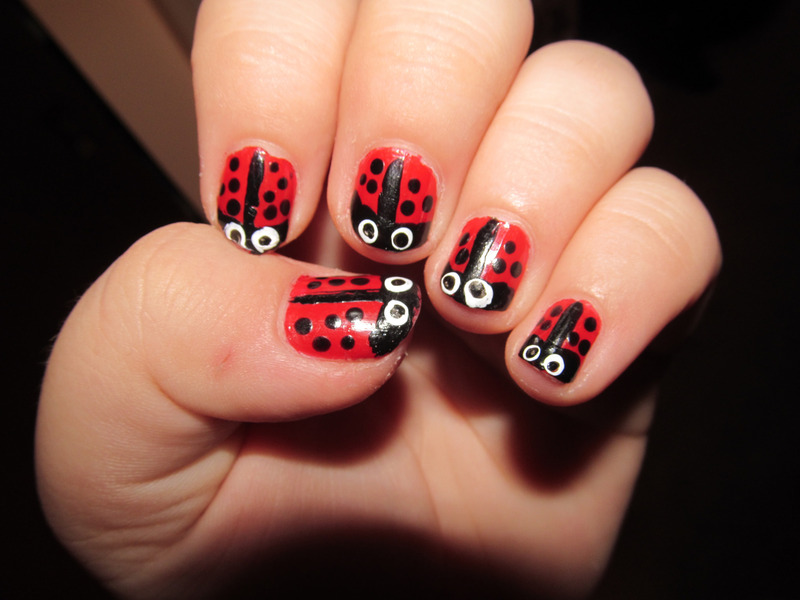 Red and Black nail Design Animal prints in red and black appear great. 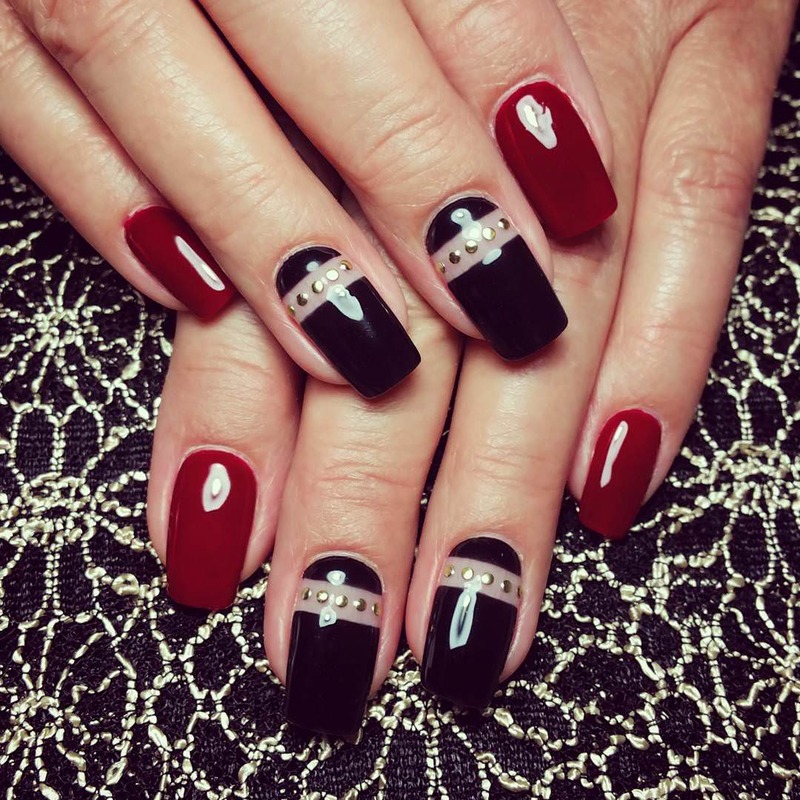 The attraction that glitter gives when it comes to nail art can’t be underrated. 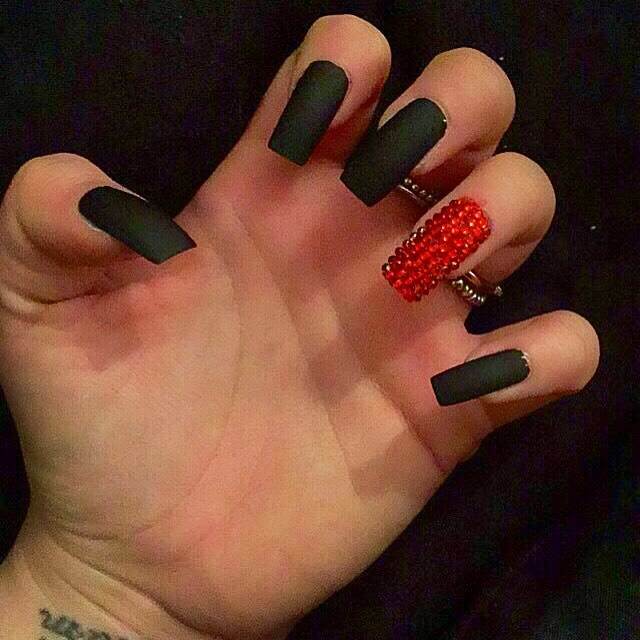 Therefore, coating your black nails with a red glitter can give you those beautiful, sparkling nails of your dreams. 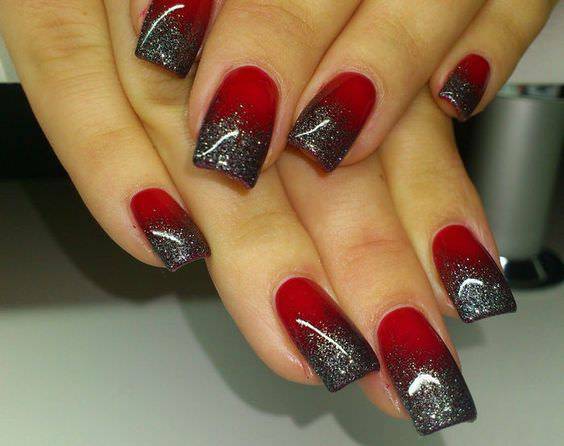 Equally, a red and black nails with a silver glitter may give the desired glow. 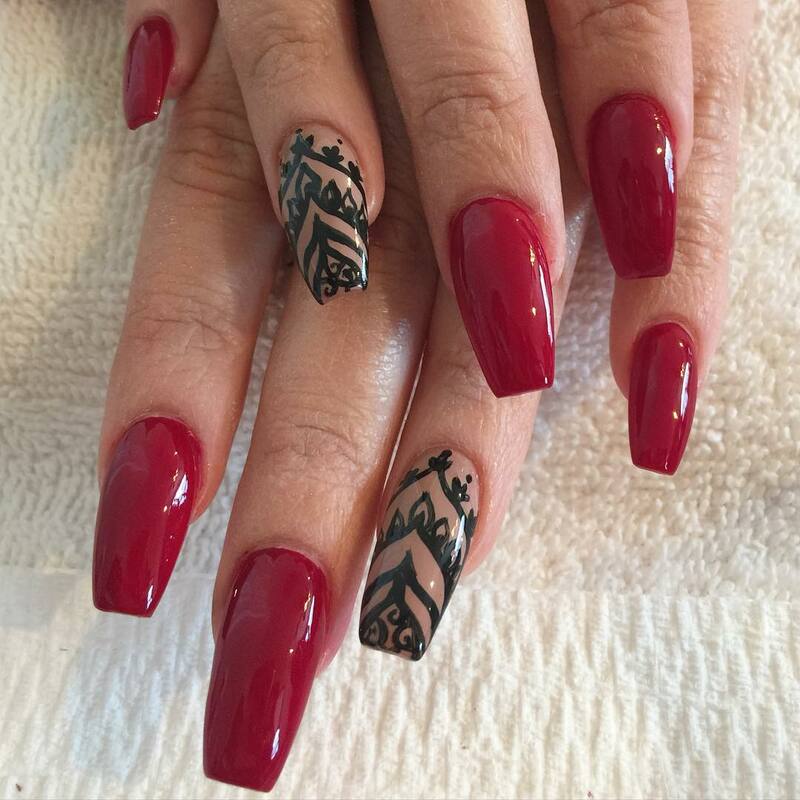 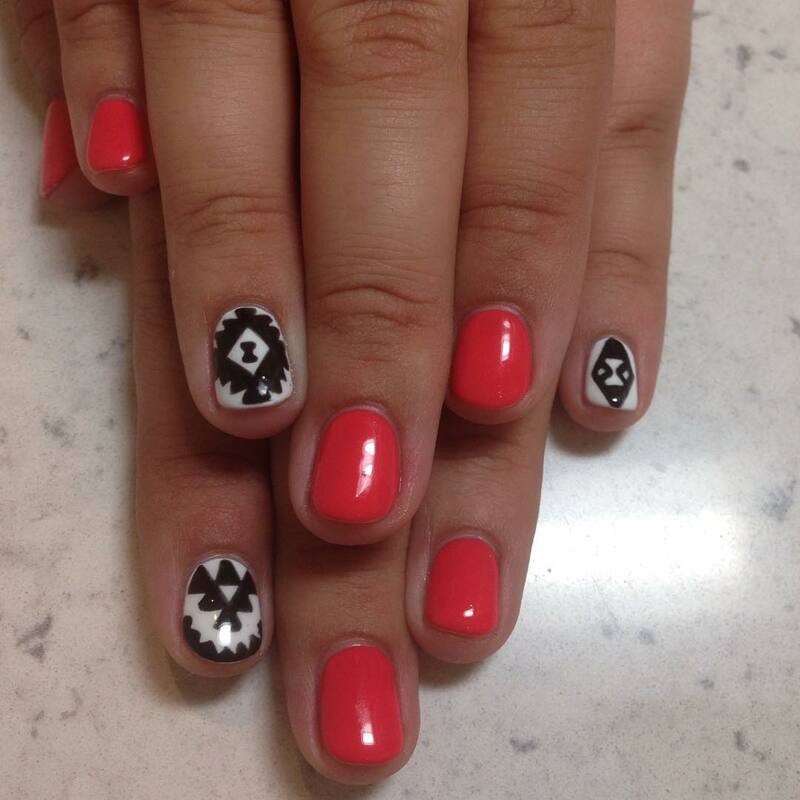 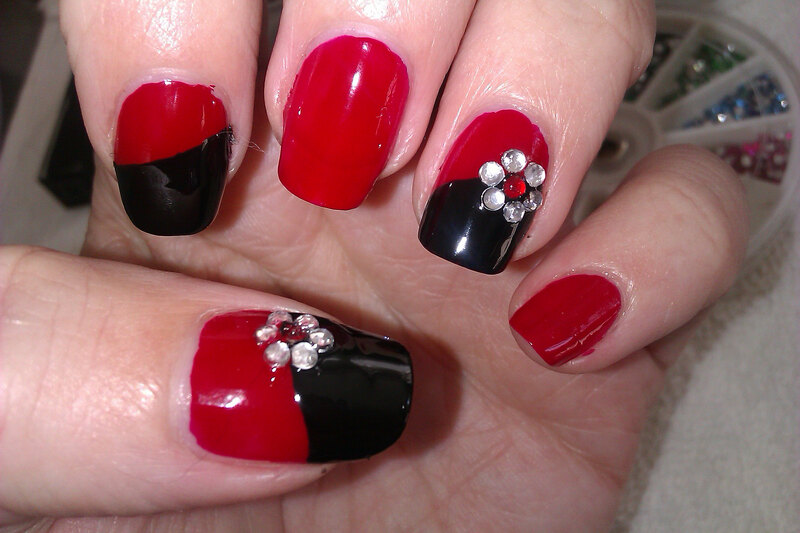 Crimson and black nails with white floral motifs can give a beautiful style to behold! 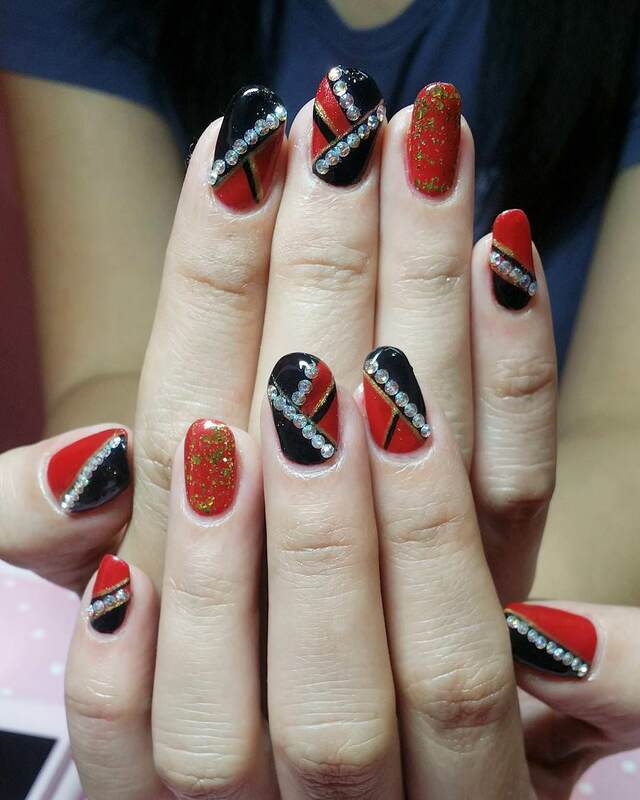 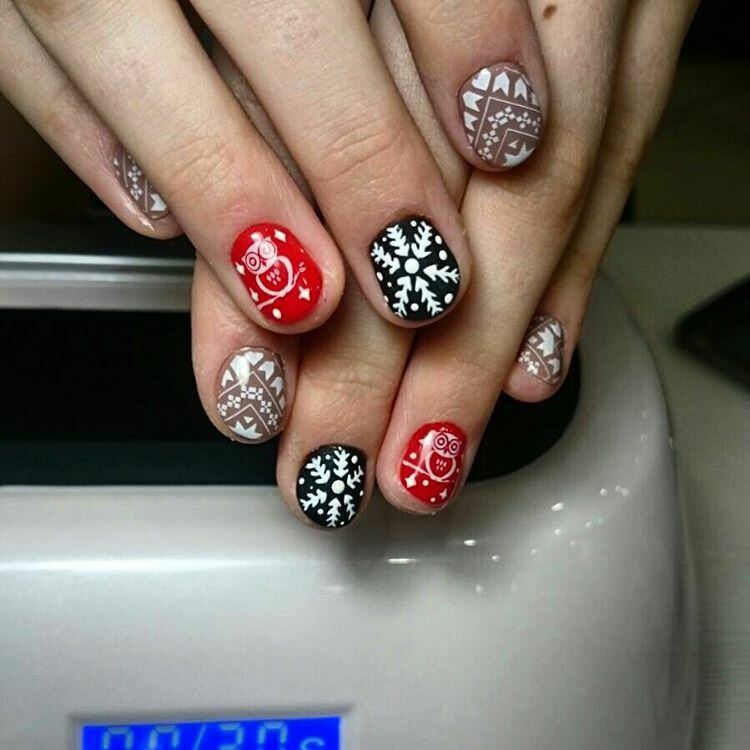 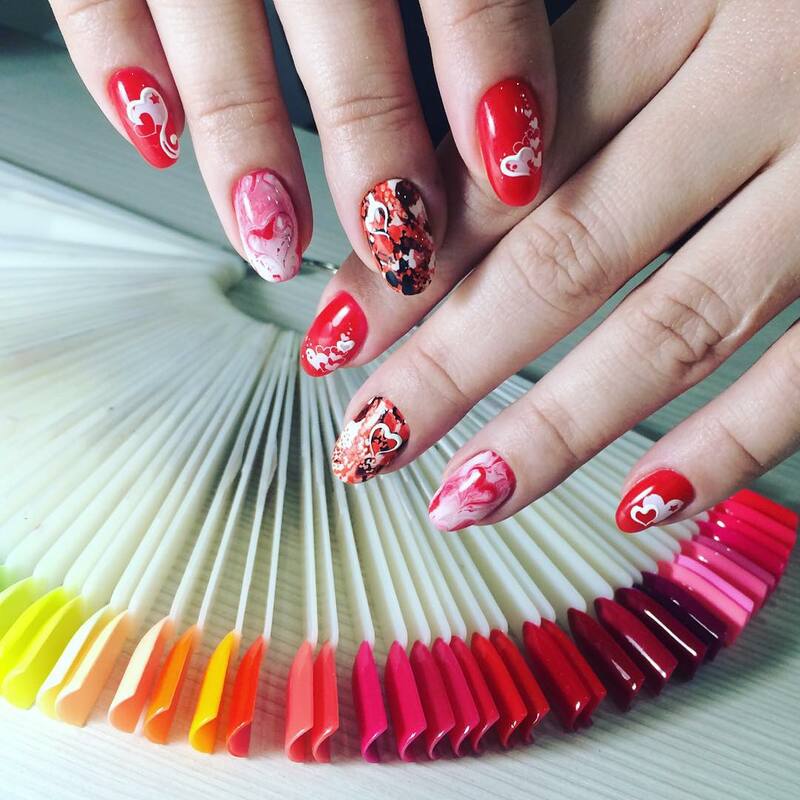 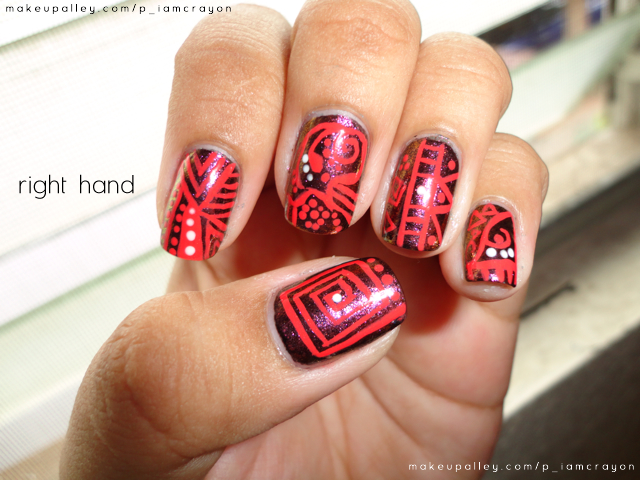 For a uniquely customized nail design, incorporating multiple motifs of your choice on the nails in red and black can be worth trying. 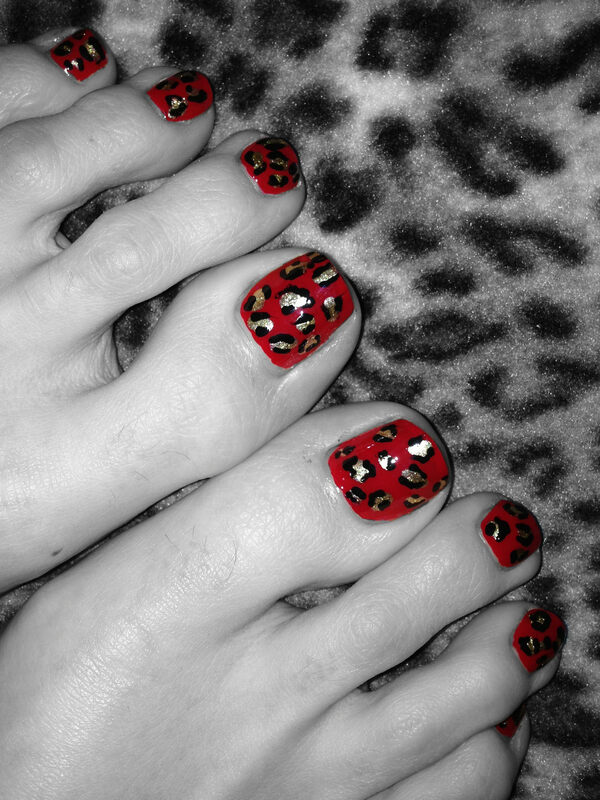 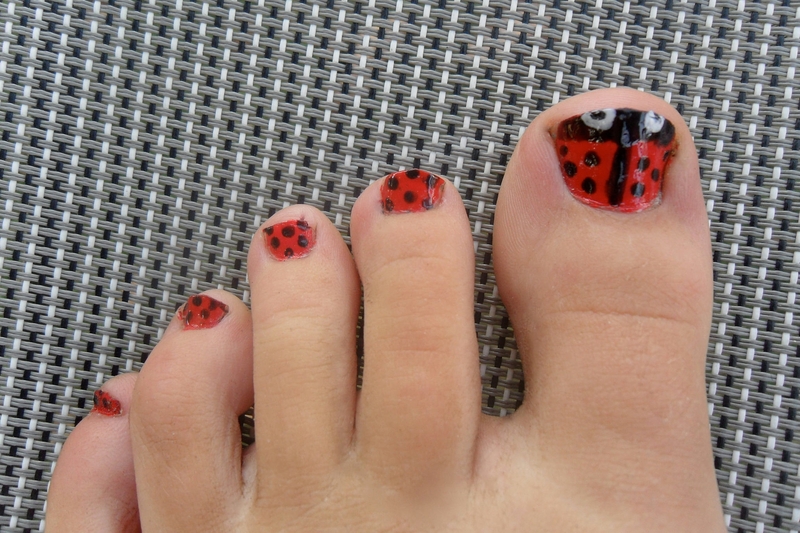 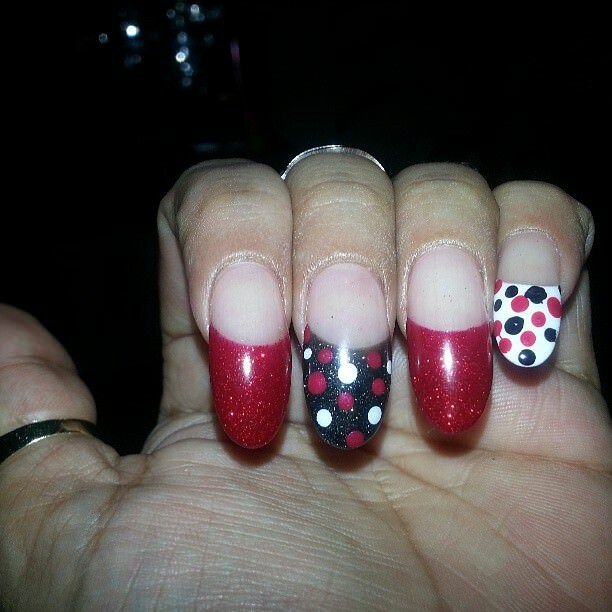 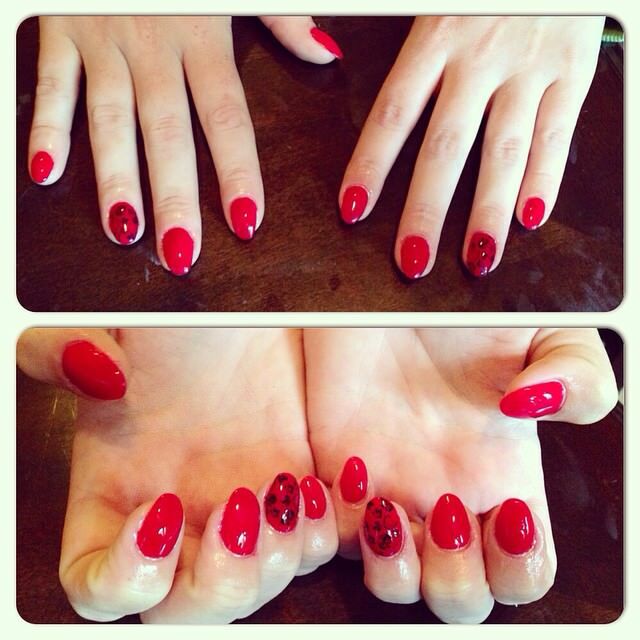 Red hearts and dots print on a black base coat can especially appear captivating. 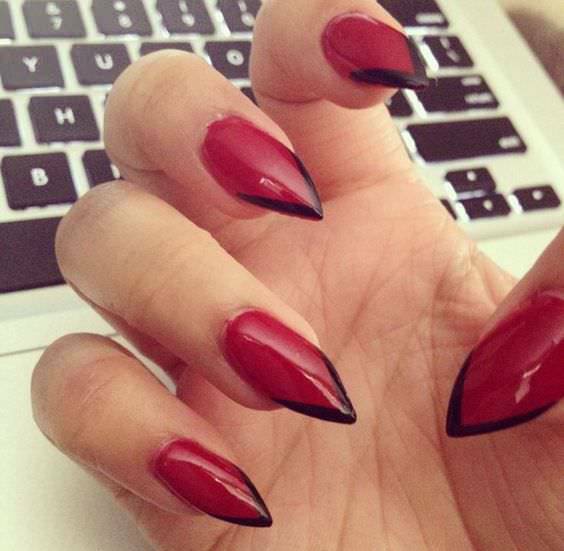 Half moon nails are quite popular and nice looking. 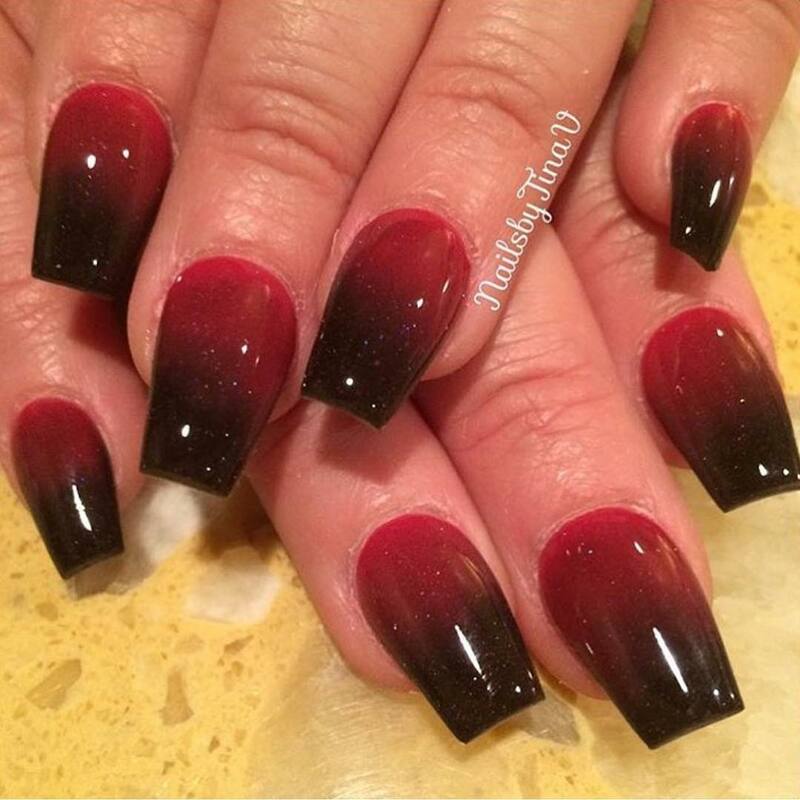 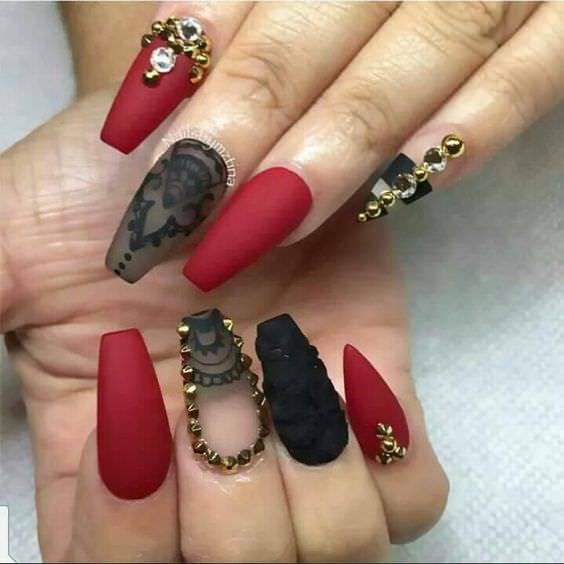 Black and red nail design on half moon nails with some gold accents is an excellent way of creating a statement with your nail art.